Our trees and landscapes are an investment with an eye to the future. As the plants in each grow, their aesthetic and monetary value increase. Landscape plants contribute 12-20% to the value of a given property. 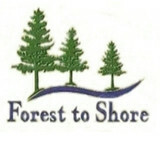 At Forest to Shore, we provide our customers quality services personalized for their unique needs. Whether investing in new additions or rejuvenating existing plants we can prune, fertilize, or otherwise help those plants to look their very best. Make the most of your greener investments choose Forest to Shore. 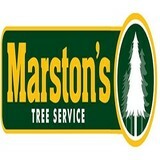 At Marston’s Tree Service, we specialize in sunlight. We offer a broad range of professional tree services including stump grinding, tree removal, branch pruning, brush removal and lot clearing. Regardless of whether you need a single limb removed or dozens of trees pruned, our fully insured crews of licensed Maine arborists are ready to meet your needs 24/7. We work statewide from York to Madawaska. Call us today for all your tree service needs. Our company also provides lawn and landscaping services in the summer and snow plowing & removal in the winter. For a free estimate, email us at Info@MarstonTree.com, call our local number at (207) 693-4631 or our toll-free number at (888) 332-1640. Trust us to get the job done right the first time. 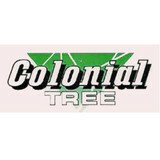 Colonial Tree and Landscaping in Westbrook, ME has been serving the local community since 1980. We offer residential, commercial and industrial landscaping services. The owner, Ira Stockwell, has over 30 years experience and has a bachelor's of science degree in forestry and is also a member of Maine Arborists. Colonial Tree and Landscaping offers tree removal, stump grinding and removal, storm and wind damage cleanup, tree bracing, difficult take downs, bush hogging, corrective pruning, grading and leveling, shrub removal, tree trimming, utility line clearance and more. We are fully insured and offer weekend services and year-round services. 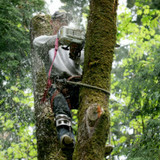 T W Enterprises, Inc. is specifically qualified in all aspects of tree care and tree removals. T W Enterprises Inc. is a locally owned and operated tree & landscape company located in Westbrook, Maine. We specialize in the safe removal of large, difficult and hazardous trees. T W Enterprises, Inc. is a fully insured company with a general liability insurance policy in excess of 1 million and workers compensation insurance for all employees. T W Enterprises, Inc. is a member of the Maine Arborist Association and the Tree Care Industry Association. York Woods Tree & Products, LLC. York Woods Tree & Products LLC has been serving as a leading Arborist since 2001. As fully-certified and fully-insured professionals, we're ready to tackle anything from the most complex and large scale land clearing projects to the smallest tree trimming jobs. We're fueled by our commitment to excellence and go the extra mile to make sure our clients are completely satisfied with our work. We are also home to freshly made mulches, a variety of stones, and a thriving garden center. We don't just cut trees down -- we're trained to keep trees up. We believe trees are treasures. And we’re their guardians. We started this business based on these beliefs. We’ve always hired only the best and brightest; people who share our passion for excellence and for the trees, landscapes and environment entrusted in our care. Our growth has been predicated by continuous improvement. Our goal was never to be just another tree care company. We wanted to lead the way in service and industry innovation. Today we’re the leading experts in all areas of tree restoration, maintenance and conservation. Our unrelenting promise to you: is our superior service delivered by a staff you can trust. To us integrity and results are the true measure of how well we serve you. Trees are the roots of our existence, they are the lungs of the world. At Seacoast Tree Care we’re dedicated to restoring, maintaining and conserving diverse landscapes. Our approach has redefined tree care, making us the leading experts in improving our healthy relationship with the environment. Trees are treasures. We’re their guardians. Bolduc Tree Service is a family owned and operated company that provides a full range of tree service options at an affordable price. We proudly serving Fremont NH, Raymond NH, Epping NH, Exeter NH, Stratham NH, and Seacoast, NH! Kevin has been in the tree service business since 1995. For all of your tree service needs, be sure to give us a call! Royal Green Tree Service has been a family owned and operated tree care company since 1984. Our well trained staff provides safe professional tree care and removal services to customers located across northeastern Massachusetts, and southeastern New Hampshire. Are you concerned about the health of the trees on your Portland property? Tree service professionals can help with pruning, cable bracing and other residential tree care services in your Portland, ME backyard. Your Portland, ME tree service professional or arborist might work in conjunction with another landscape professional to create a seamless landscape design. Here are some related professionals and vendors to complement the work of tree services: Landscape Contractors, Landscape Architects & Landscape Designers, Garden & Landscape Supplies. Find tree service professionals on Houzz. 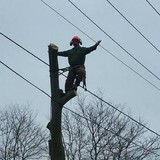 Look in the Professionals section under Portland, ME tree services. You can look through portfolios and read reviews to see what past tree care clients have to say.